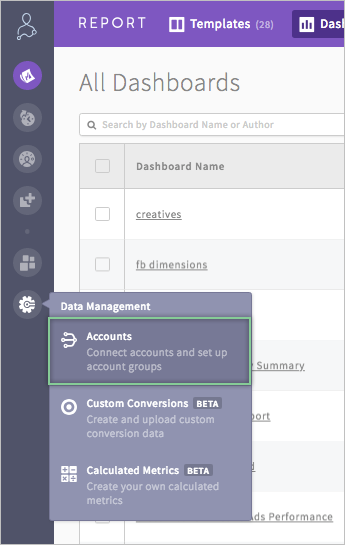 If you can't find one or more of your ad accounts while setting up a widget or dashboard in Report, it is likely because that account is set as "invisible" in your AdStage account. Step 1: Navigate to the Accounts page. 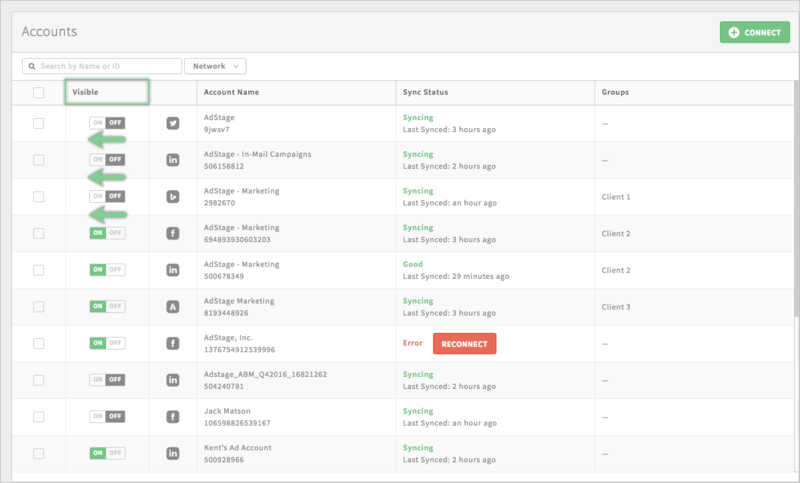 Step 2: Search for the account you're missing and toggle the in-line visibility switch to "on". Step 3: Navigate back to Report and refresh the page to see and select your now-visible account. Still having trouble? Reach out to us at support@adstage.io for assistance.